A candle glows in a native forest. 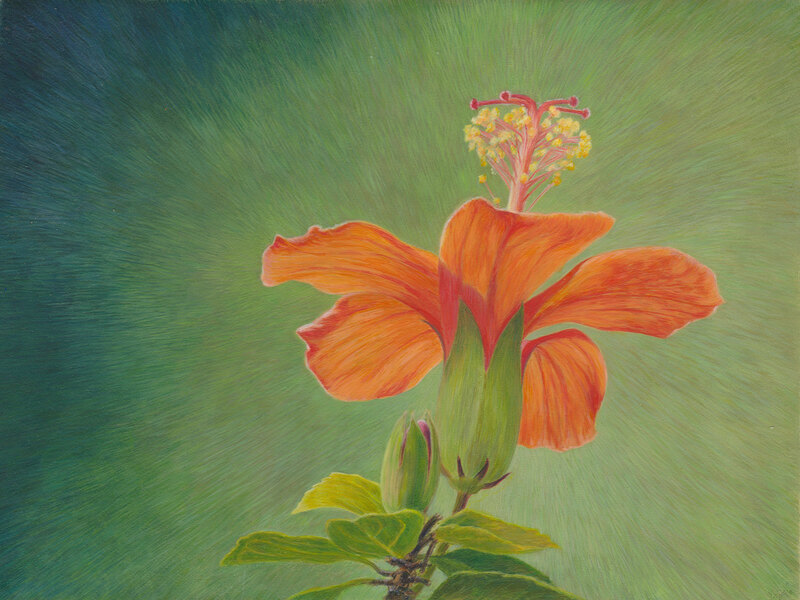 The orange blossoms of koki’o ‘ula seem to be illuminated by their own inner fire. A rare gem that exists in the wild only in the northwestern highland forests of Kauai. 90% of the native plants of Hawaii are found nowhere else in the world and are some of the most endangered. Hawaii is known as the ‘extinction capital of the world’. The Hawaiian islands formed in isolation resulting in many species of flora and fauna that exist only in this island paradise. Some species evolved even further into subspecies on the individual islands in the chain. Many plants evolved to specialized shapes to attract pollinators, setting up a future in which the survival of both plant and pollinator in the wild are inextricably intertwined. Threats to the native species began with the migration of the Polynesians to Hawaii. They set off to an uncertain future, stowing on their canoes everything they needed to survive should they even make it to a new land. They packed important food crops such as taro and sweet potato, but they also brought dogs, chickens and pigs, invasive species that began to trigger the destruction of endemic species. In the 18th and 19th century vast tracts of Hawaiian forest were cleared for their sandalwood trees. During the 1800’s land was also cleared for sugarcane plantations and cattle ranching. 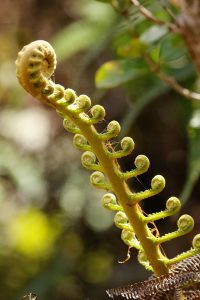 Development, human encroachment, tourism, global warming and climate change all threaten to accelerate the extinction of much of Hawai’i’s flora and fauna. Scientists believe that many more endemic species will be completely extinct in several decades if the rate of extinction continues at its current rate. 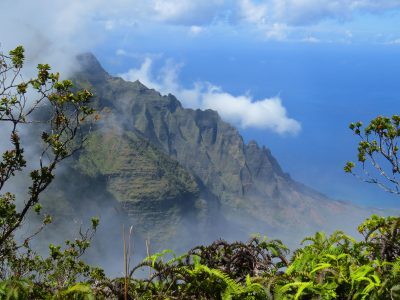 The mission of the National Tropical Botanical Garden located on the island of Kauai is to preserve tropical plant diversity and to stem the tide of these extinctions. It sponsors plant exploration, propagation, habitat restoration, scientific research and education. Their gardens and preserves offer safe haven to species at risk of disappearing forever. I am a member of The National Tropical Botanical Garden Florilegium Society. We create artwork of plants in the living collections of the Garden that will be held in the Garden’s archives. I include a bird or insect species in each of my paintings to honor the symbiotic relationship between plant and animal. My hope is that with the help of so many dedicated people, the plants depicted in my paintings will still be growing in the gardens for future generations and the light of the koki’o ‘ula will continue to burn bright in the forest of Kauai.